It will become clear as soon as an english site pics up the whole story. 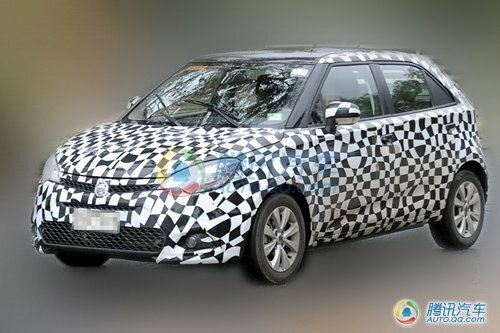 Mods may need to change thread title if the concept car is indeed called '2'. Apologies in advance. The Roewe 350MG 4 is based on the old 45/ZS platform so this is again a Focus sized saloon. My only guess is that the MG4 will be a hatchback version and marketted against bigger superminis like the Punto Evo and Fiesta. And then this the MG2 will go up against the Swift, Ka e.t.c. Rovers in the 1990s were always hard to classify, and BMW made the mistake of pricing the R8 (1989 200/400) and later HHR (45/ZS) against the Mondeo/Vectra class when it wasn't much bigger than the Focus. Phoenix rectyfied this though and re-priced and re-positioned them. Looks like the Chinese are keeping the confusion alive! If that bland-tastic camo'd car is the production model then the concept is a cruel, cruel joke. Yes, darn shame if it turns out like the camo'd car. Though i'm hoping the UK boys will be alowed to restyle the front end to look more like the concept if this is the case. It's a good looking front end that the concept wears! EDIT: Found the photoshop of the back..
Last edited by PRODIGY; 04-21-2010 at 10:55 PM. Last edited by SV; 04-22-2010 at 01:33 AM. Side profile reminds me of a 1995 Ford Fiesta. 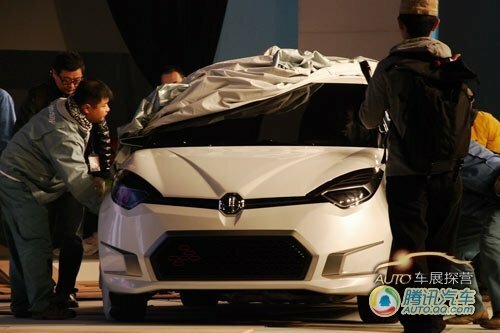 Not good, especially given the MG6 is actually a competitive design. I dunno, i think i prefer the cleaner lines on the production car ( at least it looks cleaner under the camo ). That hood on the concept just isn't working for me at all.